Pilates originates from an exercise technique developed by Joseph Pilates in the early 1900s, who created these low impact exercises to maintain physical health, strength, and good posture in ballet dancers. These exercises are designed to promote postural awareness, core stability, strength and flexibility. At Caboolture Physical Therapy Centre, our Live Well Pilates instructors run classic Pilates mat-work classes from our exercise studio. Our instructors have completed up-to-date Pilates qualifications to ensure safe and effective prescription and progression of exercises with varying levels of difficulty. Pilates has long been used as a rehabilitation method to assist in the recovery of injury, but also just purely for enhancing good health. Please note that as from April 1st, 2019, Private Health Insurers cannot give you a rebate for Pilates classes, but we are offering Live Well Pilates in the practice at a reduced cost as we know that many of you will still want them! Please note though, that in our practice, Live Well Pilates classes have the added benefit of access to the experience, ongoing training and expert advice and assistance of our Pilates trained Physiotherapists and Exercise Physiologists on hand to modify exercises just for you! Class fee: $20 per session. Please call us on (07) 5495 3255 to book a class or leave your contact details below. *Live Well Pilates classes require an assessment prior to participation, by a Physiotherapist or an Exercise Physiologist (see initial assessment EP/ PT). 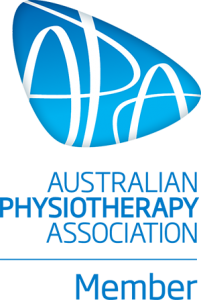 *You may also like PhysiEx Stability – a Pilates informed class run by a Physiotherapist or Exercise Physiologist. Please see PhysiEx Stability for a full description of this class and for additional class times.